According to the National Safety Council, close to 5k people die every year on the job. It goes without saying that having a comprehensive landscape safety program in place is essential for your business. Not to mention, insurance can be one of the largest expenses for a lawn care business. Implemented properly, a well documented landscape safety program will greatly benefit both your business and your employees. In order for a landscape safety program to work, everyone from the top down has to be committed to making safety a priority. This means everyone from the owner to management and all the staff. One of the first steps in getting a safety program going is to designate someone to take the lead on your safety training efforts. If you have a lot of employees, it may make sense to hire a safety and training director. With a smaller company, you may want to look to a crew manager to be in charge. Once you have chosen the right person to oversee the program, a formal policy statement should be drafted and given to all employees. This will show the commitment level to safety your management team has. In an effort to ensure your crews are abiding by the safety rules, a safety incentive program could be effective. This could be giving out cash or awards to those meeting safety objectives. Or, you could have a luncheon at the end of each season as a recognition for their efforts. Furthermore, commitment to safety needs to be present at all times. This means abiding by job site safety when visiting or working with your crews. If you exhibit a lax attitude toward job site safety, your workers will follow suit. The properties your crews are servicing —to better refine the safety training. Looking at these different aspects will help you refine your safety training program properly. As an example, you may want to add tree cutting as a service. This now means your crews will be working with tools like climbing equipment and chainsaws which brings forth a new set of hazards. Specialized training for the specific equipment being used will need to take place on a continual basis in order to ensure safety on the job. As a final note, you also want to impress the importance of reporting any potential safety issues. How you respond when an accident occurs in your company is key to ensuring something similar doesn’t happen again. You want to begin by determining the issue and what was the cause of the accident. Many times employees are rushing and may be cutting corners to save time. Knowing the issues will help you avoid future ones and set up the proper training moving forward. As mentioned earlier, effective training is specific to what your company offers. Targeted training needs to take place for the specific hazards your employees will be encountering at their work sites. A good place to start with gathering materials is the OSHA website. You can also reach out to your insurance company and look to safety training videos. Videos are an effective and handy tool since there is so much video content that can be found online on sites like YouTube . In addition, you want to make sure proper documentation is taking place for each employee. You want to keep track of when and where they received training as well as what was covered. Also make sure that the employee signs off on receiving the training. If you ever get a visit from OSHA, you want your employees to be able to say that they received adequate training. 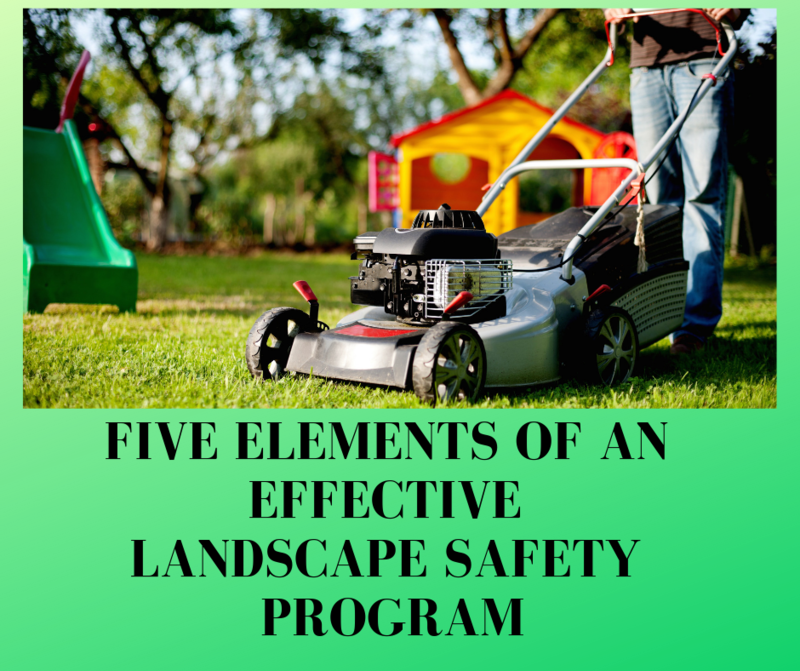 Coming up with a landscape safety program is just the beginning. You also want to look at the training you are delivering. It is important that you encourage employees to share their feedback on the training they have received. See what they learned from the content of the safety messages. That feedback can then be used to provide retraining if necessary. 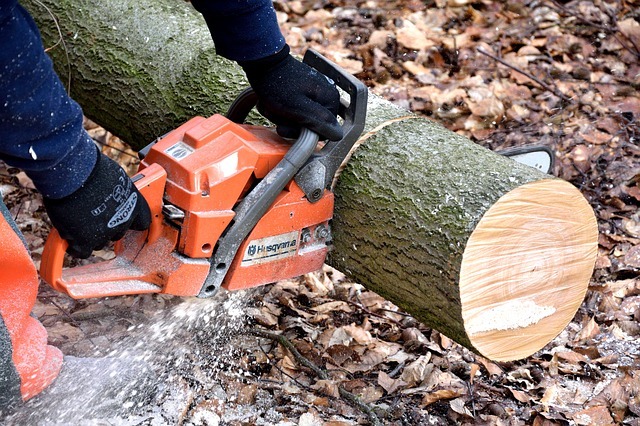 Every good landscaping company is aware of how important safety is to their business. 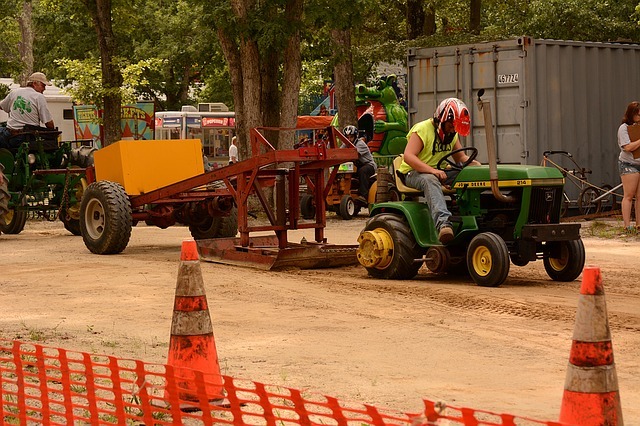 The key to having an effective landscape safety program is to provide ongoing training so employees know what the hazards are and how to respond to them. In addition, crew managers must take the time to reinforce training with continuous reminders and refresher courses for employees. You also want to make sure you are keeping records of your training sessions, policy statements and safety and health meetings so you are operating in line with OSHA.